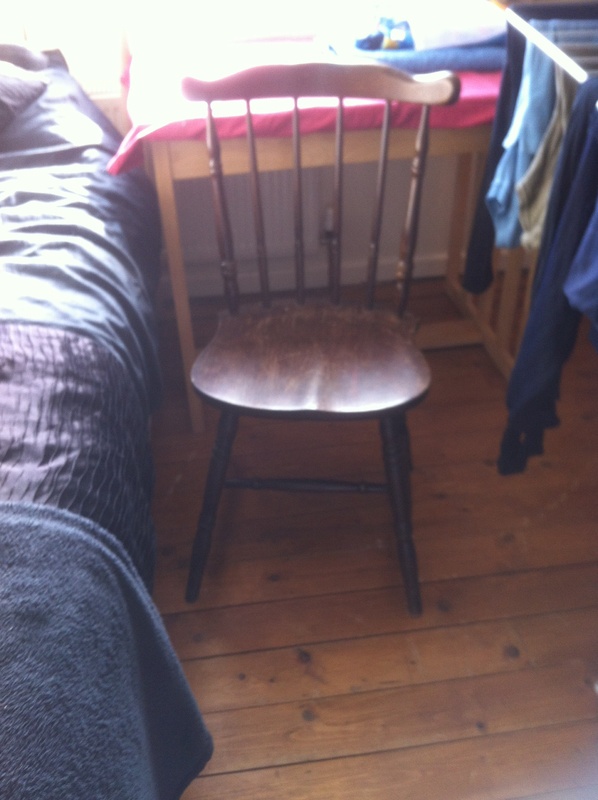 Mr Shoestring found me a lovely little chair for the student/lodger room. I plan to rub it down, paint and distress it and then wax it. If it looks good at the end I will do the same to a big old pine chest of drawers that I have in there. It is a nice solid bit of furniture but it is a bit shabby, if I’m honest, and not shabby chic! So, two more projects for my 52 projects challenge. Life is so busy I will be happy if I manage 25 projects by the end of the year. Worked flat out yesterday getting the student’s room ready and giving the house a thorough clean. By the end of that I was too shattered to blog! I will do an update when I have painted my little chair. In the meantime I am off to make a fruit cake and crumble to welcome our visitor. I do like to make sure they are well fed!